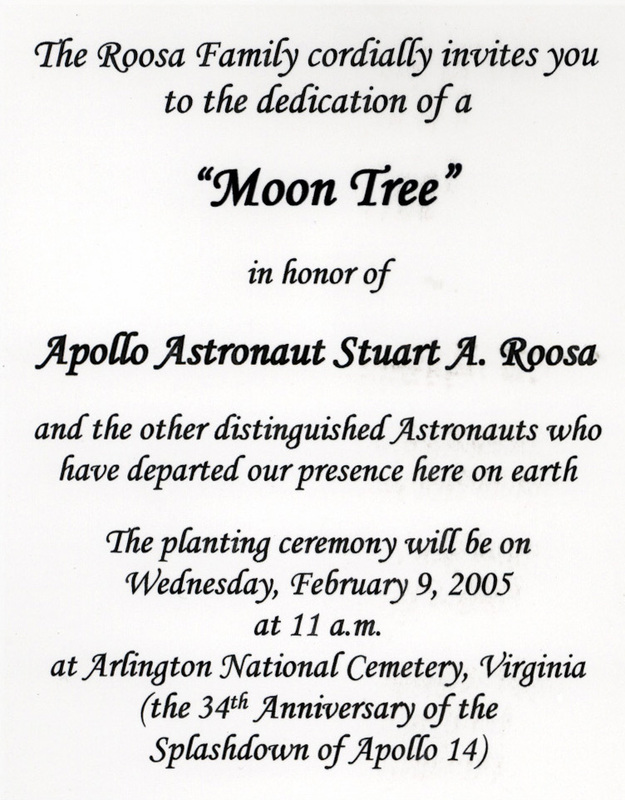 A second generation sycamore Moon Tree was planted at Arlington National Cemetery "in honor of Apollo astronaut Stuart A. Roosa and the other distinguished Astronauts who have departed our presence here on earth." 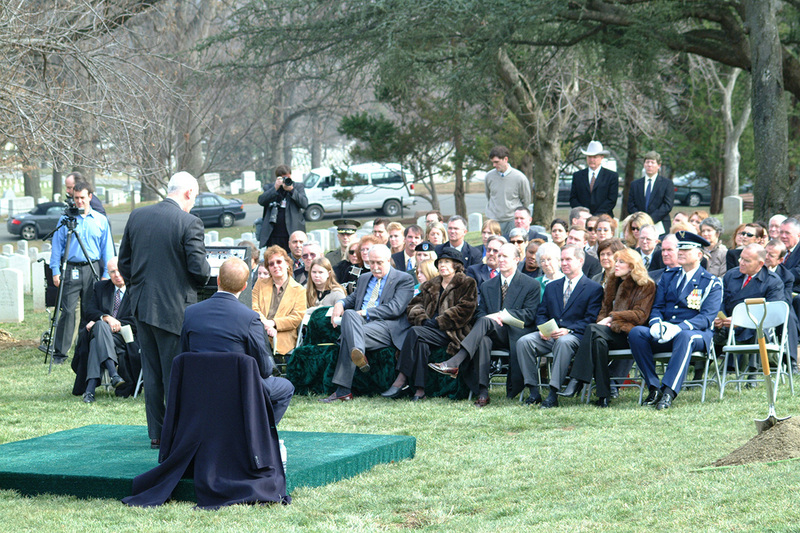 The dedication ceremony on 9 February 2005 (the 34th anniversary of the splashdown of Roosa's mission, Apollo 14) featured opening remarks by Stuart Roosa's son Christopher, a fly-over by the 111th Fighter Squadron from Pennsylvania, an honor guard, the Air Force band, ceremonial remarks by NASA's Associate Administrator William Readdy and Administrator Sean O'Keefe and a wreath laying and planting ceremony. 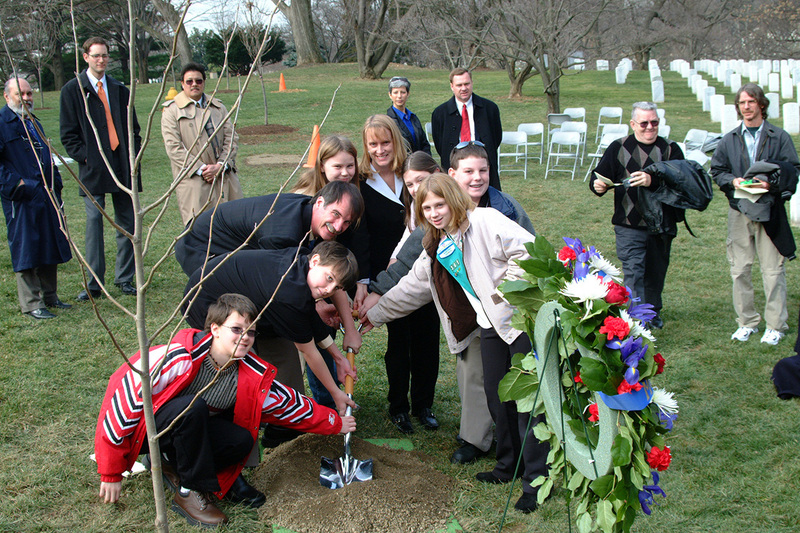 Stuart Roosa's wife and all four children were in attendance, along with representatives from the Forest Service, American Forests, the Air Force, NASA, and a group from Cannelton Elementary School in Indiana, who helped "rediscover" the Moon Trees. 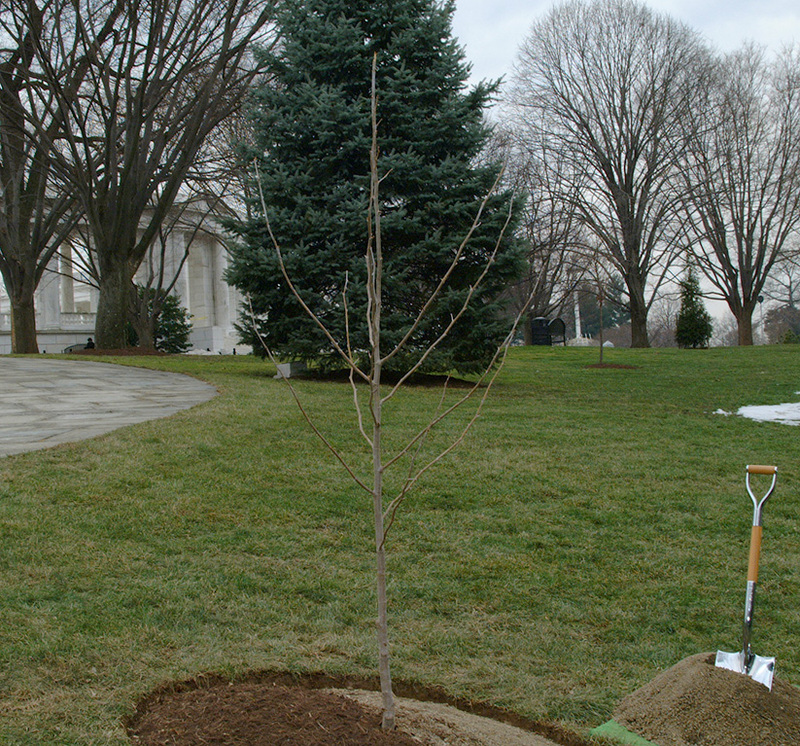 The tree is planted near the Tomb of the Unknown Soldier and is just up the hill from the spot where Stuart Roosa, who passed away in 1994, is buried. 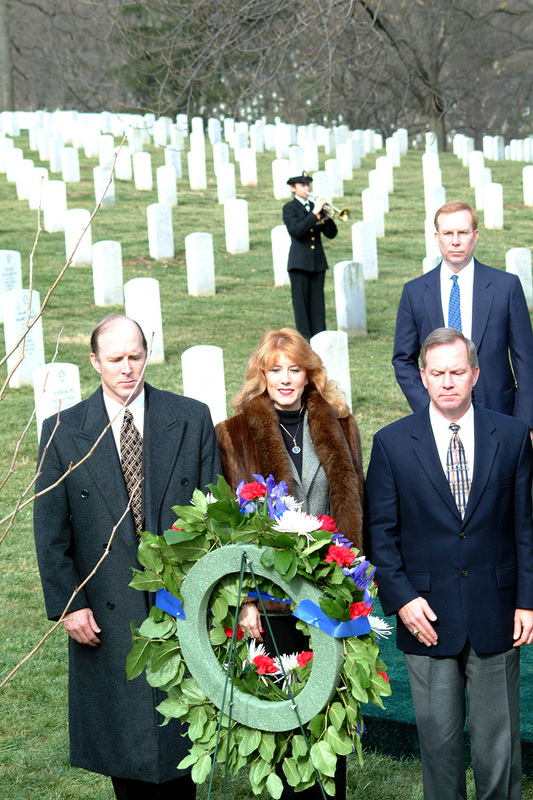 After the ceremony the guests walked down the hill to pay respects to Stuart Roosa and were then escorted to a reception at the Fort Myers Officer's Club. 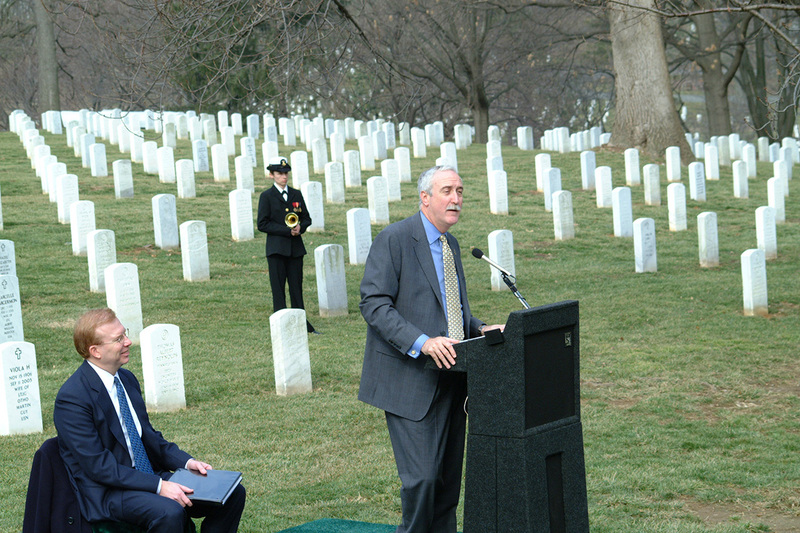 As the photographs attest, the weather was perfect and the ceremony was well attended. 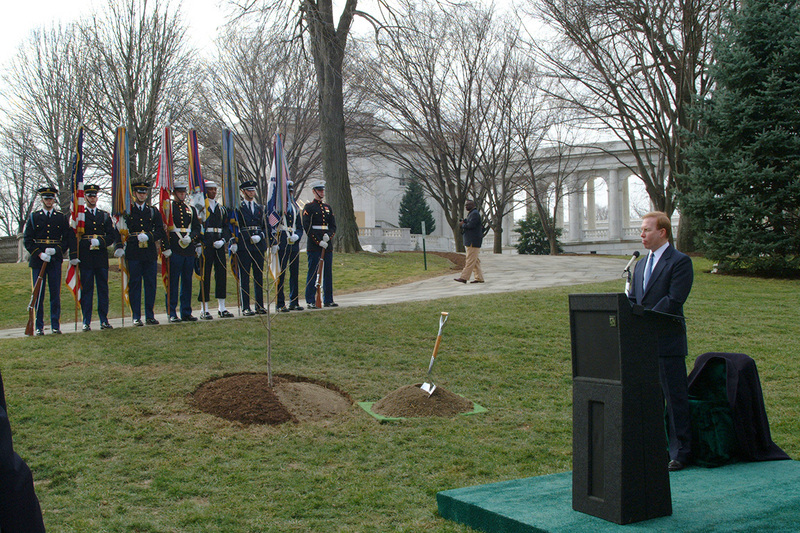 The images at the top of the page show the Moon Tree, Christopher Roosa giving the opening remarks with the Tomb of the Unknown Soldier in the background, and the invitation to the Moon Tree ceremony. 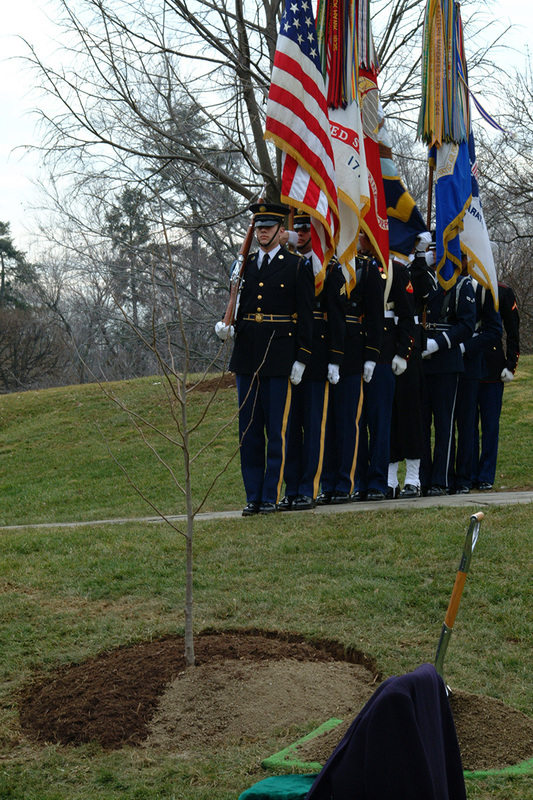 The second row shows the color guard standing behind the Moon Tree, NASA Associate Administrator William Readdy speaking to the assembled guests and the four Roosa children with the ceremonial wreath. 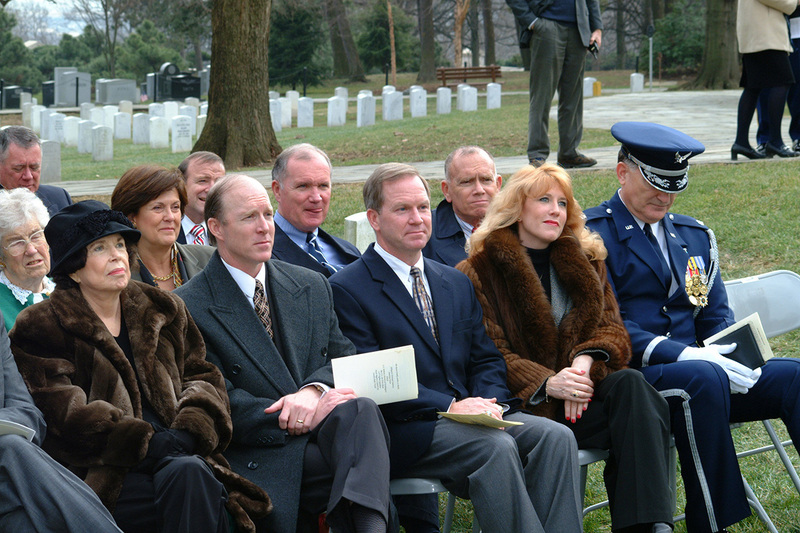 The third row shows the the Roosa family: wife Joan, sons Jack and Allen, and daughter Rosemary, and NASA Administrator Sean O'Keefe delivering ceremonial remarks. 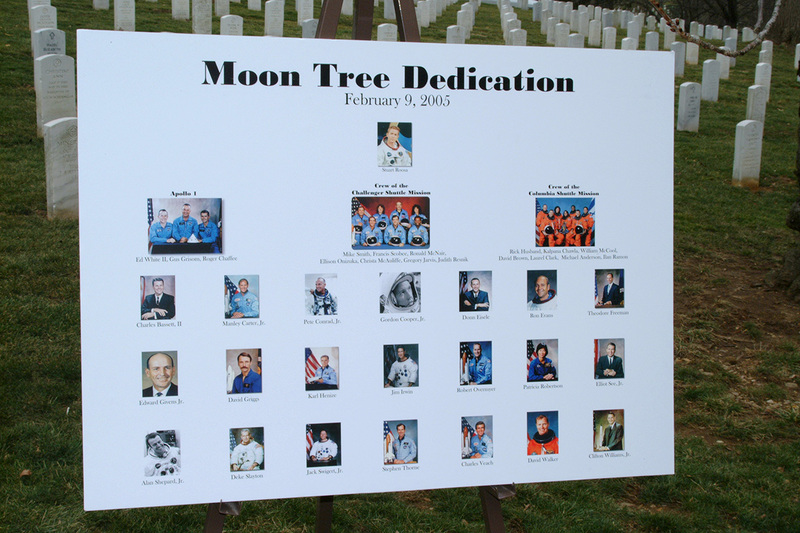 The bottom row shows the board honoring the astronauts who have passed away and the group of Cannelton students taking part in the ceremonial tree planting.